Fire Safety Rocks: Big News! 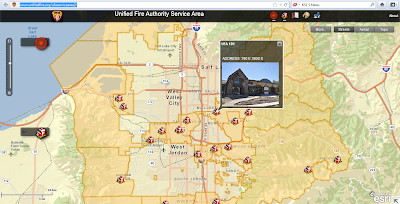 Next Episode of Sparkles' Safety Spot to be Live Streamed from Unified Fire Authority in Salt Lake City, Utah! Big News! Next Episode of Sparkles' Safety Spot to be Live Streamed from Unified Fire Authority in Salt Lake City, Utah! Great news! Sparkles' Safety Spot will be streaming its 42nd Episode LIVE with firefighters from Unified Fire Authority this coming Friday! Unified Fire is the largest Fire Department in Utah, with 26 fire stations and 450 sworn firefighters and running 40,000 calls a year! Unified Fire has 2 Hazmat Teams, 2 Heavy Rescue Teams, a Dive Rescue Team, a Swift Water Rescue Team, a Bomb Squad, and many other unique divisions. We are also very excited that we will have Zeteo, ("Z") on the show! 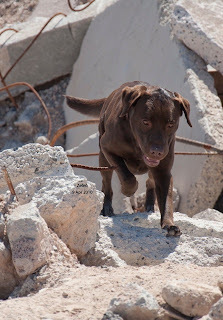 Z is a chocolate Lab that works for the Urban Search and Rescue Team. The USAR team is called Utah Task Force 1. Z is trained to search for live victims in urban disaster settings like collapsed buildings. Z detects live human scent and finds it. If the person that Z smells is not moving, he alerts his trainer. We've heard that it's pretty amazing to watch Z work amongst rescuers. He can smell plenty of live people on the rubble pile, but most of them are rescuers. Z runs right past them, because when people are up and working, they obviously don't need help. When he comes across a person who is not moving or in distress, he barks like crazy until a rescuer comes. 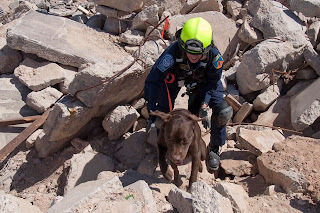 Z is employed by FEMA, and is available to deploy anywhere in the country to help search for victims of disasters like hurricanes, earthquakes, floods, or tornadoes. Z's handler is Captain Karen Minchow and we are excited to meet her and learn all about Z! Sparkles' Safety Spot will be streaming live from Unified Fire's Station 101. We have heard that the crew will be setting up an obstacle course for a training exercise while we are there. We hope that it will be put together in time for a little demonstration before we leave… Fingers crossed! Fire Station 101 sits in the middle of the Salt Lake Valley and has a 7 person crew, including Z! 3 firefighters work on Engine 101, 2 Paramedics work on Ambulance 101, and Battalion Chief 11 runs out of the station. Ambulance 151 is housed at the station as well, and is staffed with 2 EMTs during peak hours. Station 101 averages between 10 and 15 emergency calls a day. Some of the challenges that Unified Fire faces as a fire department are a rapidly growing community during hard economic times, a serious mix of urban areas and extreme wilderness, 4 large ski resorts, the world's largest open pit copper mine, and an extremely large wildland/urban interface area. We can't wait and we hope that you can join us! You can watch the live stream this coming Friday at 9:00 AM CST and even participate in the chat! Putting something together like this takes a lot of work! Special thanks to Monica Colby, Dean Hunt, Benjamin Sharer, Z and Captain Karen Minchow for helping us put this together so quickly! As always, we would like to thank our sponsor, First Alert, for providing the Keep Kids Fire Safe Foundation funding to bring you Sparkles' Safety Spot each week. Thank you, First Alert!